I like paper doilies. I do. A lot. 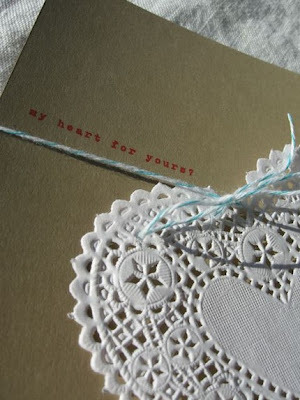 I heart paper doilies too. They make me think of sitting at the kitchen table making valentine after valentine for school. So pretty. 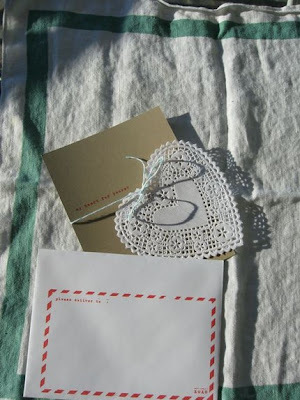 I love paper doilies too. Just bought some for my daughter's birthday party this weekend. aw how cute. a girl should be so lucky..
That is such an adorable card. Oh man, I love it. so lovely. paper doilies are so great!